While the success of Apple Watch has attracted the most attention when it comes to enterprise wearables in the workplace, the market is beginning to split into battles for the wrist (and borrowing from Neil Cybart), the eyes (e.g., Google Glass) and the ears (e.g., AirPods). Not to mention wearables for the body—smart garments and (God forbid) implantables (now, apparently, a word). Here is an interesting complementary article on this topic from Glenn Gruber, Sr. Mobile Strategist at Propelics, Axway’s partner specialized in enterprise mobile strategy and world-class mobile apps. Adoption of such technology comes with a practical limitation—we each have only so many wrists and assorted body parts. And let’s not discount the fact people will naturally resist adorning themselves with devices throughout the workday. Nobody wants to walk around the office looking like they’ve just been assimilated by the borg. Now none of this is to say that wearables won’t or shouldn’t be introduced to the enterprise, but we should maintain reasonable expectations, establish some guidelines, and address reasonable and practical workplace concerns. But first, let’s take a look at the four major wearables food groups. The Wrist: This is the wearable (e.g, smartwatches) we’re all familiar with by now. Though it’s no longer much of a battle for your wrist now that the only legitimate contenders are the Apple Watch and some fitness-only devices from Fitbit and Garmin. Yes, Android Wear exists, but mostly in theory alone. Google hasn’t updated Android Wear since the start of 2017 and few new products leverage the platform out in the market. Most new devices are from existing watch makers like Fossil who don’t want to be left behind (but also want to avoid positioning themselves as anything more than another SKU among traditional timepieces). And when you look at shipment data on a brand-by-brand basis, the Android Wear story gets even sadder. Notwithstanding the recent availability of 4G-enabled smartwatches, both Apple and Android watches are tightly tied to their smartphone platforms. So any corporate strategy for these wearables needs to be aligned with a broader device or platform strategy. But given the bigger gap in design and functionality between watch models, designing for parity between brands will no doubt prove more challenging than on the phones themselves. The other issue is that users already own a watch. The human wrist is valuable real estate. And to simply assume customers will strap yet another thing onto it is, shall we say, questionable at best. If I already use a smartwatch and my company tries to get me to wear another one—that’s a problem. Obviously, nobody’s going to wear two watches. And if the user finds the company watch ugly, we literally have yet another problem on our hands. Jaguar recently committed a similar faux pas while touting their new “Activity Key”—a Fitbit-looking device that does absolutely nothing other than unlock your car when you put your wrist near it. A much smarter move would have been to produce a Jaguar-branded watch band that could be swapped onto my Apple Watch and would serve the same function. Additionally, they could deliver a companion Apple Watch app to display data, lock the doors and remote start (Hyundai offers this). So as a lesson to enterprises, think about how you might leverage smart bands for your employees’ smartwatches without going down the custom solution road. 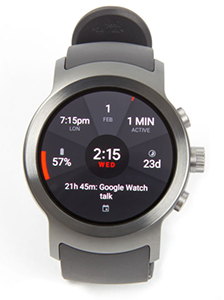 What sensors can you add to the watch? Which can you simply leverage? Steve and I discussed this idea in this episode of the Device Squad podcast, along with Bernard Desarnauts, founder of Wristly. The Ears: I’m not really sure this is even a thing. Mostly centered around Apple’s AirPods (which are great…I only wish they fit in my ears—a pretty big issue with respect to adoption). As with many great technologies, AirPods were presaged in science fiction. If you’ll recall, Spock and Uhura always had an earbud-thingy in one ear while on the bridge. But to me this “segment” of wearables is more about voice interaction with computers, which is best embodied by semi-intelligent assistants (Siri, Alexa, Google, Cortana) and devices such as the Amazon Echo. As it relates to the enterprise, I suspect we’ll be hearing more about beam-forming microphone arrays and office speaker systems than making everyone walk around wearing AirPods all the time. Think Picard on the bridge, speaking aloud to the Computer. The exception is that in industrial or manufacturing environments, bone-conducting headphones will likely hold sway. The Eyes: This is “wear” the debate gets heated. There’s no question humans are visual creatures. Phrases like “you know it when you see it,” “a picture is worth a thousand words” or “seeing is believing” are not part of our lexicon by accident. The question is not whether technologies like AR or VR are valuable. Of course, they are. Or whether hands-free access to information is valuable. Of course, it is. But this doesn’t mean head-mounted displays are the answer (though in the short term it may be our only answer). I would counsel companies not to worry about “the market” for wearables or any of the predictions-sure-to-be-wrong from analysts and pundits (except for me—you can totally trust me). The truth is most of today’s technologies are in very early stages of maturity. VR has very narrow use cases but AR has a ton of applicability to many jobs. Unfortunately, the devices are not cheap—though the impact on human interactions should not be underestimated. An appropriate strategy would be to look for the most impactful use cases where the user needs both hands free to perform their job (e.g., doctors performing surgery, field engineers/technicians working on equipment or diffusing a bomb) rather than thinking about the average office worker or consumer. Note how Google Glass is pivoting to industrial applications from its original consumer push. While working at Kyocera many years ago, I advised management to position the Iridium satellite phones at industrial applications—like oil rigs—which are less price sensitive and have unique problems perfectly suited for satphones, versus trying to market to consumers and compete against traditional cellular phones, when satellite technology provided little to no advantage whatsoever yet required an entirely different economic model. 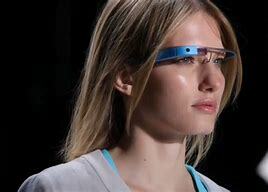 Perhaps eventually the size, weight, cost and quality of head-mounted AR devices will improve such that it will be beneficial for a wider audience. 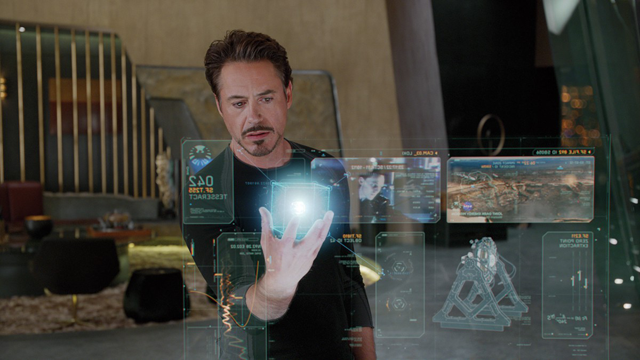 But by then we may all have what we really want—holograms that not only display information but also allow the manipulation of objects (think Tony Stark). The Body: If I had any advice to give on wearables it would be to leave this one for last. Partially because the category is all over the map. Things like badges that detect if you’ve been exposed to radiation. Listen. If you’ve got employees working in an environment where there is the potential for radiation exposure, I hope you’ve got something like this in place already. Or else you have a strong HR and recruiting (and/or legal) team. But seriously, the category of body wearables covers a lot of ground. They could be sensors built into employee uniforms or smart materials that react to inputs (like Batman’s cape in The Dark Knight). They could be body cameras. They could be communicators a la Star Trek: The Next Generation. They could even be some manner of the exoskeleton (think Doc Oc’s arms or Iron Man’s suit). Likely the applicability would be to a few specific roles. And if that’s the case, proceed with investigating and scoping (more on this later). It’s easy to get caught up in the hype. But what you want to avoid are science projects. Hype even led two huge brands–Levi’s and Google–to team up and release the awkwardly named $350 Levi’s® Commuter™ Trucker Jacket with Jacquard™ by Google. A device they call a Jacquard™ snap tag gets holstered into a sleeve and connects to your phone via gestures. 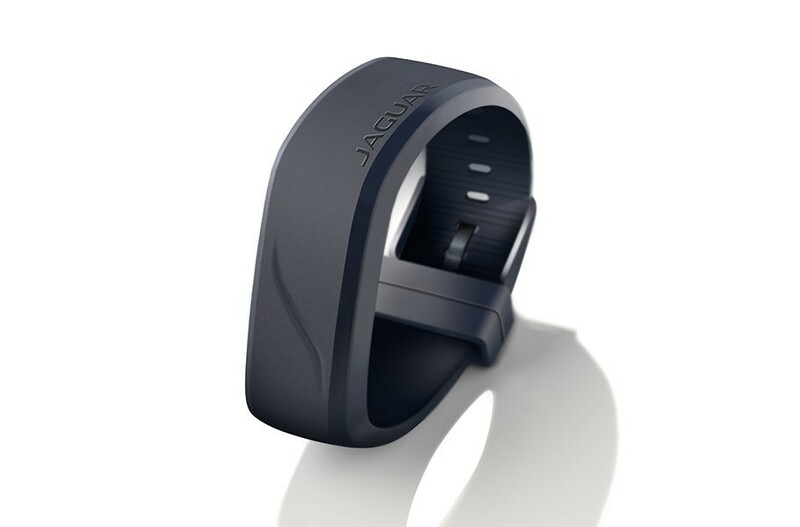 “With a tap or brush of the cuff, you can control music, screen phone calls or get directions. A few simple gestures keep you on course, in touch, and connected.” For some reason, it can only be washed ten times (and yes, you have to remove the tag before you wash the jacket). Since we are still very early into the wearables maturity curve, the use cases are likely going to be role-dependent rather than relevant to the entire organization. So start by running a few Ideation Sessions to identify some specific user-driven use cases, understand the potential business impacts and prioritize the ideas. Focus your efforts. Take the top three to five ideas in your prioritized list and expand upon them. What is the business process? 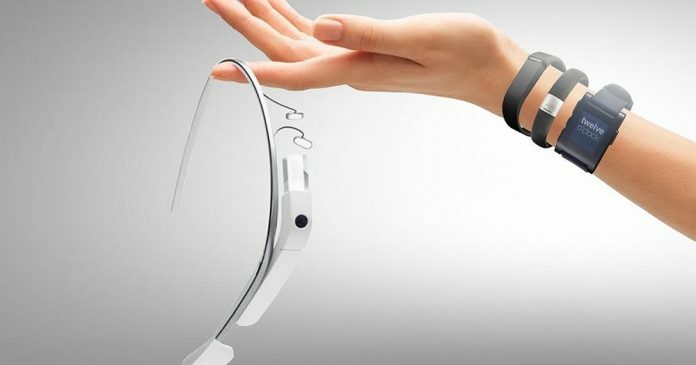 How would wearables impact/change that process? What are the expected benefits? What type of wearable do we think is applicable? Run a Day-in-the-Life to make sure you fully understand your employees’ daily job tasks. These types of activities always help uncover hidden opportunities for process reengineering—something particularly relevant to wearables. Next, pick one concept to advance to the next stage. Depending on your organization, trying to complete too many bleeding-edge projects at once usually doesn’t end well. Once you have the category of wearable defined, analyze the resources available to fulfill that vision. Yes, there’s Apple Watch and Google Glass, but dozens of startups (as well as established companies) are busy rummaging about the space. But beware of slideware. Run a POC to make sure the devices on your short list can actually deliver on the capabilities you require. Then build a prototype to see if your idea actually works the way you hoped. We turn to Axway for our prototype solution. Their Mobile Application Development Platform (MADP) Appcelerator lets us generate pixel-perfect, working, native on-device mobile app prototypes in no time flat. Our business literally depends on it! This hearkens back to my headline. If you’re going to try to move forward, at some point you will get push-back. The best way to mitigate this is to get input and buy-in early on from the employees who’ll actually be using the wearables. At this point, some of you may be thinking, “But if they want to work here, they’ll use whatever we tell them to.” This is partially true. We make many decisions regarding what laptops and software our employees use. When we choose manufacturing equipment, we don’t ask permission from employees before we buy a new CNC machine or other heavy equipment. But wearables are different. These aren’t simple devices you manipulate, they are ones that are on their bodies. Invite the folks in the roles you’re trying to support to be part of the journey–from line workers to office workers to field techs. Identify an old sage or two, some up-and-comers, as well as those technophiles enthusiastic about trying new things. Bring them in for the ideation sessions (of course they are front-and-center during the Day-in-the-Life experiences) and also have them participate in the POC and Prototype design sessions. Most of all, get their feedback on the results of each session. The worst way to proceed is to have the “suits” design something uncomfortable, ungainly, unsightly or flat-out unsuitable to the way employees actually work. With engagement all the way through the process, you’ll have a better chance at buy-in from the employees involved and they will become your evangelists to the rest of their peers as you roll it out to the broader community. But more importantly, you’ll have a far better product for it. Read the source article here and learn more. Next articleWhy do you need API technology in retail?